Archer decides he should pilot a kamikaze shuttle to destroy the Xindi weapon. Temporal agent Daniels urges him to reconsider. In the mirror universe, the crew of the ISS Enterprise is fighting rebels who oppose the Terran Empire when they discover the Tholians have captured a vessel from the future. 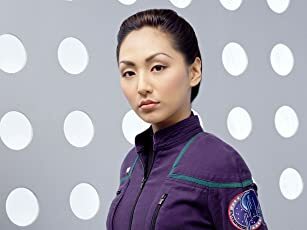 How many episodes of Star Trek: Enterprise have you seen? The year is 2151. Earth has spent the last 88 years since learning how to travel faster than the speed of light studying under the wisdom of their alien ally called the 'Vulcans'. Now, the first crew of human explorers sets out into deep space on a ship called the 'Enterprise' to see what is beyond our solar system. Commander Tucker: I'd rather realign every microcircuit on this shuttle than try to read through that baby. Lt. Reed: British schools have a core curriculum. It serves to provide a well-rounded education. Sometimes I think you North Americans read nothing but comic books and those ridiculous science fiction novels. Commander Tucker: I'll have you know that Superman was laced with metaphor. Subtext layered on subtext. Q: If this series is set 100 years before The Original Series, why does the Enterprise look more advanced? Q: Didn't the first contact with the Klingons occur on a much later stardate than seen in the Pilot? And wasn't it described as 'disastrous'? Enterprise Renewed for 4th Season. 2004. SUPER! In a TV world that is dominated by reality shows and people eating insects it is good to see that STAR TREK ENTERPRISE will be renewed for a 4th season.. 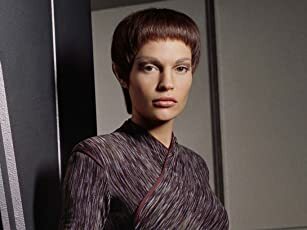 This show is one of the best in the Trek family, and will be exciting in its 2004 4th season. The Show is intelligent and exciting, has great characters, Scott Bakula has excelled as Captain and continues to improve. Fans have supported the show and have helped keep it on because of the quality of the show. 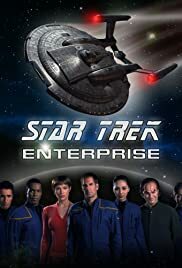 The 3rd season involving the Xindi was incredible and the continuing story lines, was edge of your seat stuff, of TV years past..
Get on the Bandwagon and watch a great show, you may not see Jessica Simpson Burp or Paris Hilton Milk a cow but its the BEST Star Trek in MANY years since the TNG as its story lines blow away DSN or Voyager.. Truly where no star trek series has gone before and its worth a look. 84 of 138 people found this review helpful. Was this review helpful to you?